US 2 returns to Michigan. 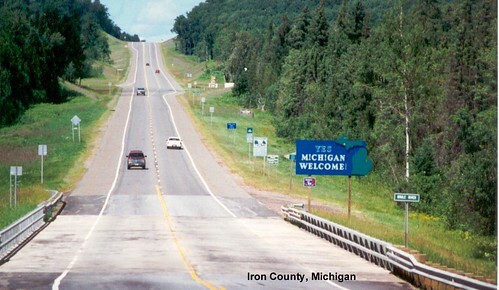 US 2 continues through the forests of the Upper Peninsula. Continuing west on US 2. US 2 in Gogebic County.